Product prices and availability are accurate as of 2019-04-21 20:42:03 UTC and are subject to change. Any price and availability information displayed on http://www.amazon.com/ at the time of purchase will apply to the purchase of this product. 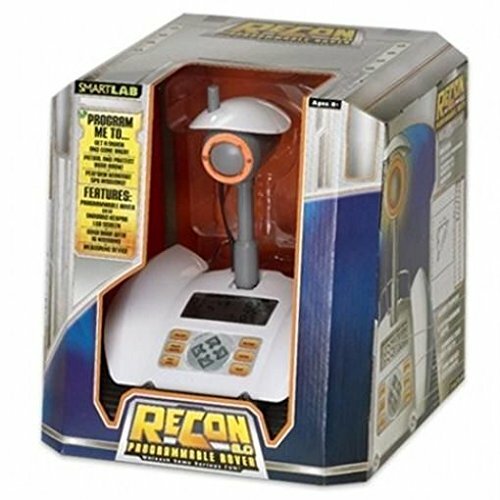 At this time you are looking at SmartLab Toys ReCon 6.0 Programmable Rover which is one of our several available products from the make Smart Lab. Buy this merchandise now or look through our website for other like choices. More than just a toy robot, the SmartLab ReCon 6.0 Programmable Rover is a learning tool that teaches basic programming, early mathematics, and simple problem solving. 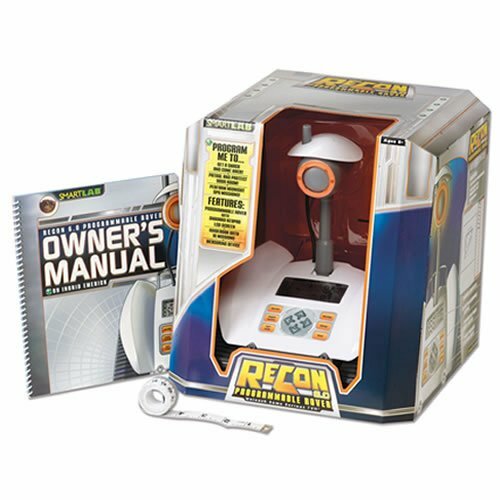 Kids ages eight years and up can program the Rover to navigate specified courses to deliver a treat to a pet, surprise a family member with a personalized message, or when the mood strikes, dance. The Rover can also record and play sounds and flash its LEDs for alarmingly good fun. Teaches basic programming, early math, and basic problem solving-all without use of a computer. View larger. 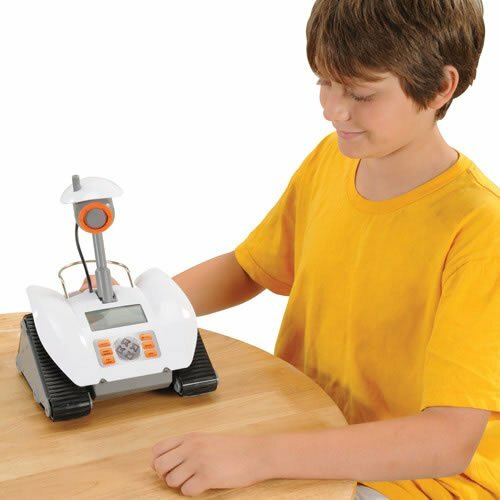 Unlike conventional remote control toys, the Rover operates using simple programming functions that encourage learning early mathematics. Using the LCD screen and 10-button key pad, kids can enter a sequence of directions for the Rover to perform. These directions instruct the Rover to move forward, turn left or right, and go in reverse. The Rover's triangular track-drive system with third wheel ensures that the unit can make sharp turns where required. To specify exact movements, a tape measure is included. Kids can map and record precise distances that can be entered and saved into the Rover's memory. The Rover boasts a number of special features that encourage fun family interaction. Use the cargo hold on back to transport items such as a soda pop to Dad or a treat to a pet. There's also a built-in microphone and speaker that enable you to record a personalized message for playback. 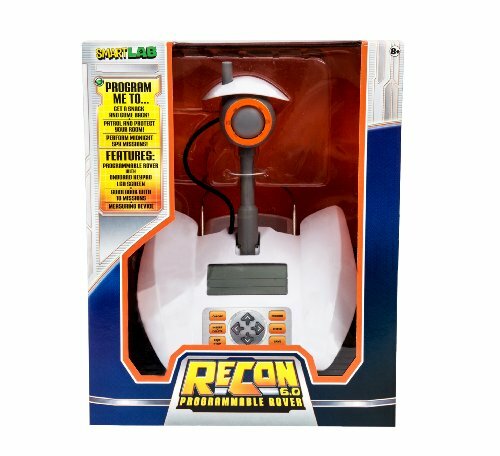 For more sensitive recon missions, the microphone can also be used to eavesdrop and record conversations. 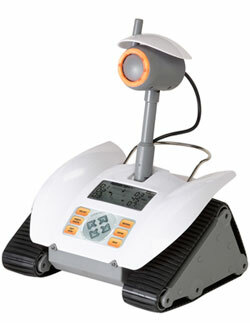 The Rover can perform guard duties by using the loop command and sounding an alarm and flashing its LED headlights. When it's time to get down and have some real fun, the Rover can even be programmed to dance. Program it to pivot side to side, make short moves forward and back, and play a preprogrammed soundtrack to accompany the choreography. for getting started. View larger. 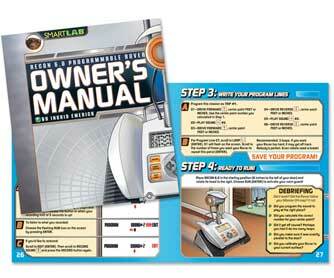 To guide you in setting up the Rover, a 48-page spiral bound guidebook is included. This comprehensive book covers operating instructions, step-by-step programming guides, mission maps, and debriefing questions to gauge the success of your calculations. There's also informative trivia on mathematical equations, logic, and robot development to inspire learning. Using the Rover may seem challenging at first, but with a little practice, the programming process becomes easy. Kids need only record measurements (in either feet or inches) of where they want the Rover to go and input that data into the unit. Admittedly, the Rover is somewhat slow in moving and making course changes, but it's still a fun way to learn basic programming skills and math. Expert users will appreciate the more advanced operating techniques the Rover can perform, including the use of sound and flashing lights. 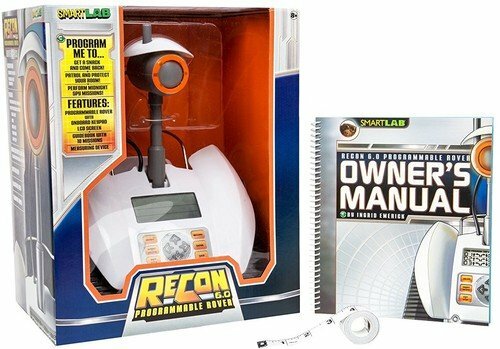 SmartLab ReCon 6.0 Programmable Rover, 5-foot tape measure, and guidebook with 10 pre-planned missions to get you started. Fun and educational Performance and quality tested Great fun for children of all ages Teaches basic programming, early mathematics, and basic problem solving Pre-built - no assembly required 48 page, full color guide book - 10 missions plus diagnostics test, mission maps, and step by step programming directions Projects create fun family interaction. Transcends intended target age, appealing to humans 8 to 88.